Professor Laura A Costanzo is currently Professor of Strategy, Innovation and Entrepreneurship and Head of the Department of Strategy, Innovation and Entrepreneurship at the Southampton Business School, where she lectures in the subject areas of strategic management, decision-making and global entrepreneurship. Previously she held academic positions at the Surrey Business School, University of Surrey, and the International Institute of Banking and Financial Services, University of Leeds. She holds a PhD from the University of Leeds, she is a Fellow of the Higher Education Academy (HEA) and a Member of the International Teachers Network (ITP). She has also advised the London based Institute of Financial Services (IFS) as the Chief Examiner of Strategic Management in Financial Services and has been an external examiner at many UK and overseas universities. Prior to joining academia she worked as a consultant for a major international company in different European locations. She continues to provide strategic and management consultancy by blending academic knowledge with management practice. She continues to collaborate with the Centre for Environmental Strategy at the Faculty of Engineering and Physical Sciences of the University of Surrey as co-supervisor of the EPSRC/Rolls-Royce funded EngD project titled: “Management of Global Business Change Requirements from Expanding Environmental and Sustainability Regulation”. She has been the lead researcher for the NESTA funded project on Hidden Innovation in Financial Services. Her papers have been presented at national and international conferences. She has organized and chaired conferences and inherent tracks at national and international levels. Professor Costanzo’s research received the 2008 British Academy of Management/Strategic Foresight Track Best Paper Award, the 2007 Outstanding Paper of the Year by the Emerald Literati Network Awards for Excellence, and the 2003 Top 10 Strategic Management Society/McKinsey Best Papers Award. Journal of Business and Financial Affairs. Advising (ad-hoc reviewer) the Social Sciences and Humanities Research Council of Canada on research bids. Nominated as a 2007 AIM Scholar by the Advanced Institute of Management (ESRC initiative). 24-26 October 2012; 2nd International Conference in “Socially Responsible and Sustainable Entrepreneurship and Innovation”, Southampton University and EM-Normandie. Invited to chair and co-ordinate 3 parallel sessions. 12-15 September 2010: Strategic Management Society Conference, Invited Chair of the Session “Social and Market Dimensions in Strategy Practice”, Rome, Italy. 29 October -1 November 2006: Strategic Management Society Conference, Invited Chair of the Session “Studying Interactions within Top Management Teams”, Vienna, Austria. 15-17 September 2006: British Academy of Management Conference, Queen’s University, Belfast. Co-organiser and co-chair (with Dr Brad McKay and Dr Ajit Nayak) of the track on “Foresight and Organisational Becoming”. 11-16 August 2006: Academy of Management Conference, Atlanta, USA. Co-organiser and co-chair (with R.B. MacKay and S. Masrani) of the Caucus on “Organisational Renewal as an On-going Process”. 17-20 May 2006: 6th Annual Conference European Academy of Management, Oslo, Norway. Co-organiser and co-chair (with M. Ozbilgin and O. Kyriakidou) of the track on “Relational Perspectives in Organisation Studies”. 13-15 October 2005: Invited member of the Scientific Committee for the Conference on “Managing Global Trends and Challenges in a Turbulent Economy”, Department of Business Administration, University of the Aegean, Chios, Greece. Co-chair and organiser of the track “Relational Perspectives in Organizations” (with Dr. O. Kyriakidou and Dr. M. Ozbilgin). 15-17 May (2005): British Academy of Management Annual Conference, Saiid Business School, University of Oxford. Co-chair and organiser of the track “Foresight and Organizational Becoming” (with Dr Brad McKay and Dr Ajit Nayak). 4-7 May (2005): 5th Annual Conference European Academy of Management, TUM Business School, Munich, Germany. Invited discussant for the track “Strategic Hetorogeneity, Knowledge Dynamics and Performance”. 4-7 May (2005): 5th Annual Conference European Academy of Management, TUM Business School, Munich, Germany. Co-chair and organizer (with Dr. O. Kyriakidou and Dr. M. Ozbilgin) of the track “Relational Perspectives in Organizational Studies”. 30 August-1 September 2004: British Academy of Management Annual Conference. Co-chair and organizer of the track “Foresight and Organizational Becoming” (with Prof. Robert Chia and Dr Brad McKay). Each of the three co-chairs received a track award. Co-founder and co-chair (with Dr R.B MacKay and Prof. Robert Chia) of the BAM SIG on Strategic Foresight. 3-4 June 2004: 6th International Conference of the Dynamics of Strategy, School of Management, University of Surrey. Conference co-chair and member of the organising committee. Organiser and chair of three plenary sessions with keynote speakers Prof. Richard Whittington, Prof. Andrew Campbell, Prof. Bob de Wit. 6-8 May 2004: 4th Annual Conference of the European Academy of Management, St. Andrew’s University, Scotland. Co-chair (with Dr. O. Kyriakidou and Dr. M. Ozbilgin) of the track “Relationships In and Around Organisations”. 11-13 July 2002: International Conference “Probing the Future: Developing Organizational Foresight in the Knowledge Economy”, Strathclyde Business School, University of Strathclyde, Glasgow, Scotland. Invited chair of the session “Organizational Sensemaking, Learning, Foresight”. Professor Costanzo researches a number of topics in the main subject areas of strategy and innovation. Her current research interests include top management team’s dynamics and strategic decision-making, social innovation and entrepreneurship, strategy and management of start-ups and SMEs, strategy-as-practice, innovation in financial services, sustainability and innovation management. She is willing to supervise PhD theses in these subject areas and discuss topics with potential candidates. Doctoral student Konstantinos Chalkias; thesis title: “A comparative study of institutional entrepreneurship: An investigation of entrepreneurial SMEs in the UK and the Greek food industry”. Principal supervisor: Prof Mike Geppert; co-supervisor: Dr Laura A. Costanzo (Awarded in 2013). 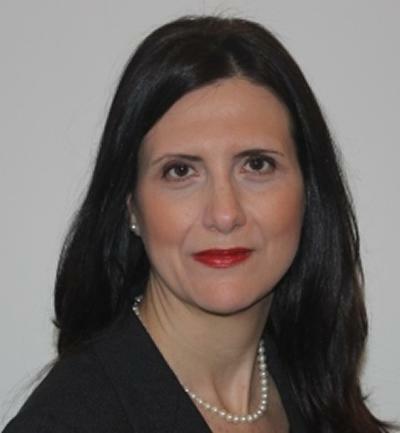 Doctoral student Cinla Akinci; thesis title: “The Role of Intuitive Judgement in Strategic Decision-Making”. Principal supervisor: Prof Eugene Sadler-Smith; co-supervisor: Dr Laura A. Costanzo. (Awarded in 2011). Faculty's winner of the PG Research Student of the Year Award. Doctoral student Joerg Dederichs; thesis title: “Strategy-as-Practice: The Process of Putting External Growth Strategies into Action”. Principal supervisor: Dr Laura A. Costanzo; co-supervisor: Prof David Gilbert. (Awarded in 2010). Doctoral student Claudia Kuller; thesis title: “An examination of female expatriate failure: A qualitative exploratory research study”. Principal supervisor: Prof Mike Geppert; co-supervisor: Dr Laura A. Costanzo. (Awarded in 2014). Doctoral student Goetz Kaltheuner; thesis title: “Micro foundations of strategic renewal. How a strategic renewal process has been understood and put into action within a steel fastener stamping SME from a strategy-as-practice perspective”. Principal supervisor: Dr Laura A. Costanzo; co-supervisor: Dr Ayse Saka-Helmhout. (Awarded in 2013). Costanzo, L. A. (Ed.) (2010). Cases in strategic management. New York, US: McGraw-Hill. Costanzo, L. A., & MacKay, R. B. (Eds.) (2009). The handbook of research on strategy and foresight. Cheltenham, GB: Edward Elgar. Costanzo, L. A. (Accepted/In press). Sustainability of the social enterprise: the case of UK social firms. In K. Nicolopoulou, M. Karatas-Ozkan, F. Janssen, & J. Jermier (Eds. ), Sustainable Entrepreneurship and Social Innovation Abingdon, GB: Routledge. Cavalli, A., Costanzo, L. A., Lange, L., Lubaite, S., & Marston, T. (2010). The UK broadcasting & cable TV industry and the future of ITV. In L. A. Costanzo (Ed. ), Cases in Strategic Management New York, US: McGraw-Hill. Costanzo, L. A., & MacKay, R. B. (2009). Introduction. In L. A. Costanzo, & R. B. MacKay (Eds. ), The Handbook of Research on Strategy and Foresight Cheltenham, GB: Edward Elgar. Costanzo, L. A., & Tzoumpa, V. (2009). The role of middle-managers in enabling foresight. In L. A. Costanzo, & R. B. MacKay (Eds. ), The Handbook of Research on Strategy and Foresight Cheltenham, GB: Edward Elgar. Costanzo, L. A., Tzoumpa, V., & Malach-Pines, A. (2007). The engaging manager and the role of knowledge absorptive capacity: an organizational life cycle perspective. In M. Ozbilgin, & R. B. MacKay (Eds. ), Career Choice in Management and Entrepreneurship Cheltenham, GB: Edward Elgar. Costanzo, L. A. (2006). The engaging manager and the role of knowledge absorptive capacity: an organizational life cycle perspective. In O. Kyriakidou, & M. Özbilgin (Eds. ), Relational Perspectives in Organizational Studies: a Research Companion Cheltenham, GB: Edward Elgar. Costanzo, L. A. (2004). Strategic innovation in financial services. In R. Bettis (Ed. ), Strategy in Transition (pp. 175-204). (Strategic Management Society Best Papers Book Series). Hoboken, US: Blackwell.